A fairy tale character who is about to flunk out of fairy tale school, Jack must perform a heroic deed by Monday or fail miserably, just like his father before him. Anxious to make good, Jack sells his C.O.W. (Computer of Wonder) for a handful of magic beans and a mysterious book that records his adventures as he's having them. 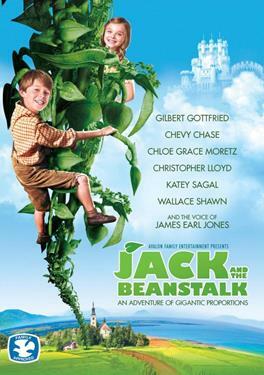 Accompanied by his sidekick Grayson (a goose who ate a bean and underwent an amazing transformation) Jack climbs the magic beanstalk to recover the fabled Harp of Destiny from the evil Giant who lives in the sky. Helping Jack on his perilous quest is the spunky Jillian, a fearless young girl whom Jack meets on his journey - and who just may have a hidden agenda.